Legal disclaimer: The following information on specific laws and regulations does not constitute legal advice. As always, compliance with federal, state and local laws is ultimately your responsibility. We recommend that you consult with legal counsel to ensure your processes and procedures are fully compliant. What is a §1681m Notice? The Fair Credit Reporting Act (FCRA) sets strict requirements on the processes and procedures a potential employer must follow when obtaining consumer reports on applicants. These requirements for reports like MVRs and criminal record checks include proper disclosures, authorizations, and summaries of rights. When hiring for positions that fall under the regulations of the Secretary of Transportation or any State transportation agency and using applications received by mail, telephone, or computer, the FCRA requires potential employers to provide applicants with an additional summary of the applicant’s rights under 15 U.S.C. §1681m, which includes among other things the name and contact information of any consumer reporting agency (CRA) that may be used to obtain a consumer report on the applicant as well as a statement that the consumer reporting agency will not make any decision to take adverse action and cannot provide specific reasons why any adverse action may be taken. Many carriers correctly provide the FCRA Summary of Rights to their applicants but are unaware that they need to provide information about the CRAs the carriers plan to use to obtain the consumer reports. What are the Potential Consequences of Noncompliance? In 2013, a lawsuit brought by a driver against a carrier alleged that he was never provided the §1681m-required summary of his rights. Despite the carrier’s argument that other summaries of rights under the FCRA were provided to the driver, the court found that the transportation-specific CRA information was mandatory too. This case paved the way for more litigation on this trucking-specific notice under §1681m, including class action lawsuits against trucking companies. In the last year, three other cases have been filed in Oregon, Utah, and California alleging that carriers failed to provide drivers with this specific notice of their FCRA rights (that is, the CRA-specific notice). In all of these cases, the courts found that applicants had a substantive right to this information and the failure to provide it can constitute a willful violation of the FCRA. The courts have specifically overruled the trucking companies’ arguments that the failure to provide this information was merely a procedural misstep that did not cause harm to the applicants. Courts are finding that because the FCRA explicitly requires the additional notice to the applicant, trucking companies that don’t provide it act in reckless disregard of the consumer’s rights, which opens the door for driver applicants to obtain significant damages. These cases are against both small and large trucking companies and can cost hundreds of thousands of dollars in fines, settlements, and attorneys’ fees. 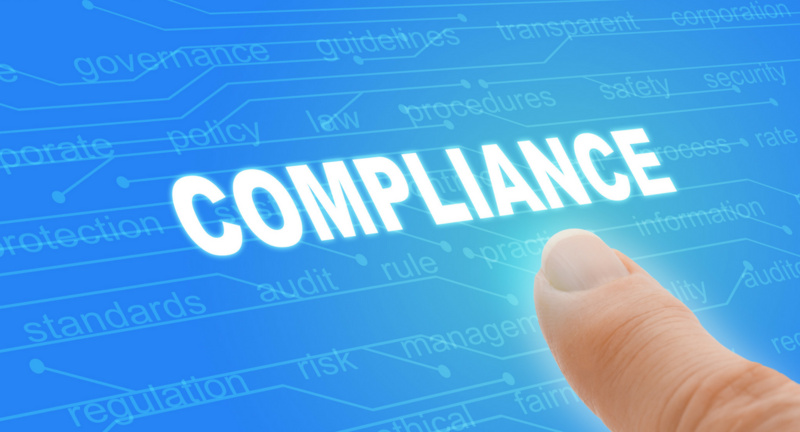 How Can You Become Compliant? We highly recommend all carriers have a §1681m summary of rights notice as a part of their Tenstreet IntelliApp. Tenstreet works hard to ensure our system is flexible so that our clients can implement the best FCRA practices and procedures. In an effort to help all our clients become compliant, we’ve prepared a sample §1681m-specific summary of rights that our clients can choose to use in connection with their IntelliApp. As always, it is your obligation to make sure your IntelliApp and the disclosures, authorizations, and summaries of rights therein are compliant with the FCRA and all state and local laws. Therefore, to ensure compliance, contact a qualified FCRA attorney to have all your practices and documentation reviewed. We’ve included some more specific information at the bottom of this post to pass along to your employment lawyer. Please contact your Account Manager or reach out to the Client Services team at client.services@tenstreet.com if you want to add this sample summary of rights to your IntelliApp. notice that under 15 U.S.C. §1681i the consumer has a right to dispute the accuracy or completeness of any information in a consumer report furnished by the consumer reporting agency. We know that while some trucking companies have historically relied on the verbal exception when obtaining authorization to run a consumer report, we at Tenstreet believe that the most recent §1681m lawsuits make it impractical to implement.